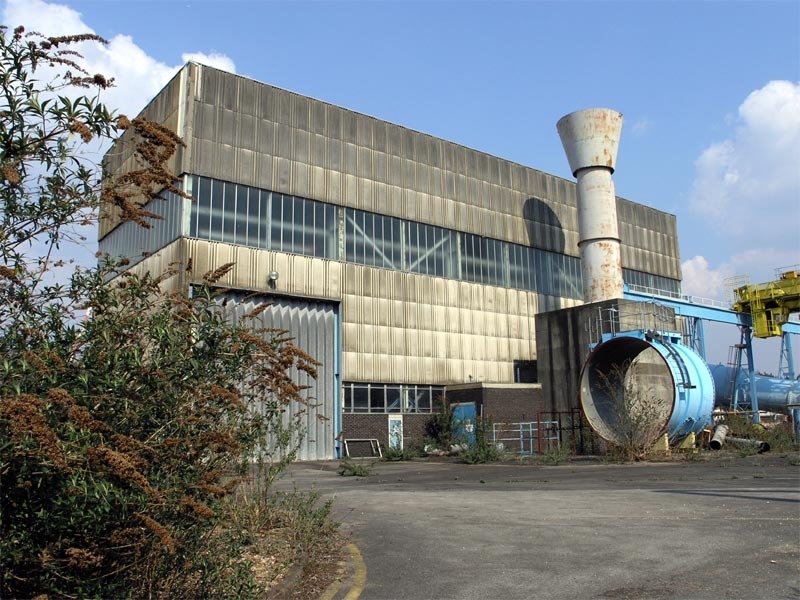 The south side of the building reveals the southern loading bay doors and the steel exhauster chimney mounted on a massive concrete plinth. The blue section of pipe near the building is part of the ducting installed between Cell 3 West and its air intake cooler. South eastern side of Number 10 Exhauster.